Friends, I'm taking break from here because of health problems and a surgery required. I'll miss you all, till we meet again! get well and come back soon! Hi INAAM & get well soon! 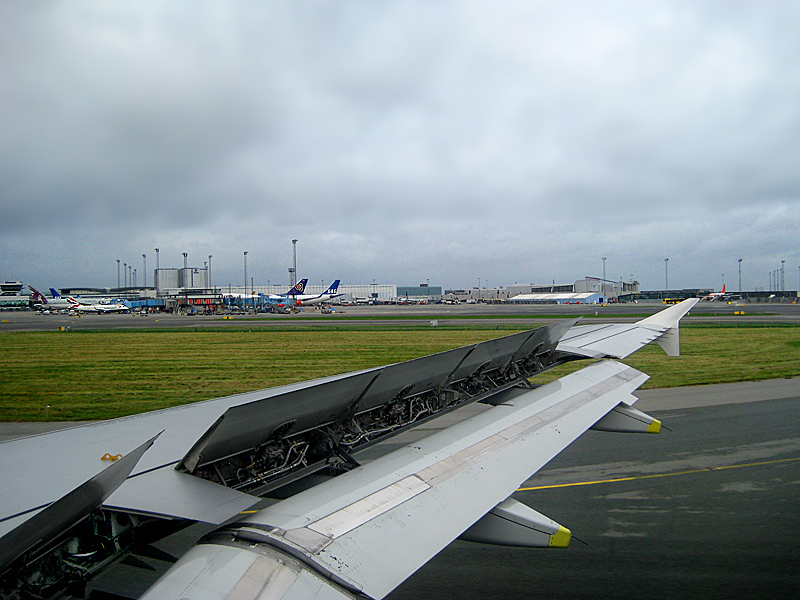 A good shot of Copenhagen airport. Superb sharpness & depth. Excellent decisive timing to catch the raised wing flaps as these are only up for a few seconds. Again, take care, relax, & get well soon! I wish and prayer for your health my friend get well soon! About the shot where you showed this plane wing while applying break which match your note perfectly but break this plane will again take off, beautiful diffused light and good sharpness. What a pity that this pause is for a health problem. Wish everything goes well and the break is short and you come back soon to make us admire your photos. A nice diagonal line caused by the wing of this plane while breaking. A nice view of the airport. Get well soon, my friend, may God bless you and assist you during the surgery intervention. See you soon, I'll miss you. Dear Inaam..... I am sure that you will be well and come back to TL soon. We will miss and think about you my friend. Wish you all the best Inaam. Get well soon and we will see you later. Hello Inaam,a detailed shot of the wing showing us the air brake,which takes our eyes across to the airport and all the other planes etc., that we would expect to see. Sorry to hear that you will be away.Hope that everything goes well for you. Get well soon and I hope your surgery is successful. Great clarity and detail of what is under the wings. Get well soon, and God bless. Salaam Inaam. Take care and get well soon Inaam. Nice photo taken at landing and signifying a brake. like our friend Mushtaq said just like the plane you will take off with more vigor. انشاللہ آپ جلد صحت یاب ہو جاینگے. شوکت. Tr�s belle compo e tiamge quel aile avec le volet ouvert sueprbe cadrage et captate quelle nettet� quelle belle aile, fantastique. Before the sea, according to the planes, two of my passions. The wings and flaps, for 'the climb, vfrenare.